When you sign up you get a profile page to show off your music tastes and can you can even unlock badges after reaching a certain level of plays! My profile is here if you want to take see what it looks like. The best reason to sign up, however, is to buy music. If you love listening to loads of new music one of the great things about Zune is it’s subscription service called Zune Pass. 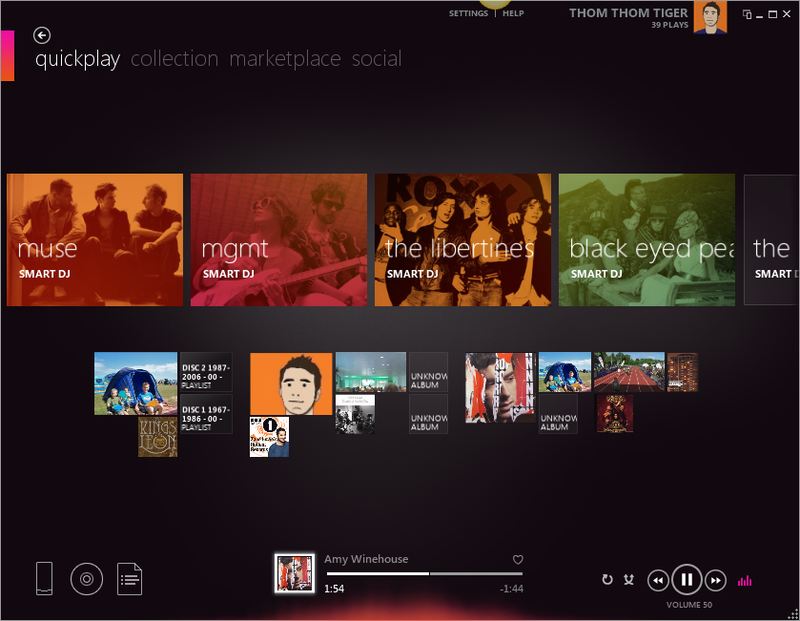 Get unlimited access to the music in Zune Marketplace with Zune Pass. Download as many songs as you like and listen to them for as long as you keep your Zune Pass up to date. You also get to keep 10 of your favourite songs each month, forever. Subscriptions start from £8.99 a month but you can also get a free 14 day pass. That’s pretty good value for money and its something Apple is yet to offer. My other favourite subscription service, Spotify premium, costs £1 more per month and doesn’t allow you to keep the music. It also means you can listen to your music on your Phone or Xbox (or any other compatible media centre). So what are you waiting for? The software runs on XP upwards and deserves to be explored, even if you don’t have a phone or want to subscribe it is a much better way to enjoy your existing music collection than iTunes, Windows Media Player & Spotify combined. You also get features like the mini-player, Quick Play, an easy way to rate tracks and Smart DJ (a bit like iTunes Genius) to create playlists on the fly from similar music in you collection. Gotta say, I do love Zune and Zune Pass. Hope they don’t restrict it to WP7 users only. What do you mean by restrict it? You can get it without a WP7 device on things like the XBOX or just a PC. Do you mean you’d like to be able to use Zune to sync with an iPhone/Android device? Maybe android could happen, not so sure about the iPhone! Yep, that’s exactly what I mean. If they’re serious about making Zune a serious iTunes competitor then they have to get it onto as many phones as possible. Android, Nokia, Blackberry…the lot. I bet they DON’T do that tho.